Baltimore, MD -- When he turned forty, Black Classic Press Founder and Director Paul Coates did not celebrate. He went to work at the Baltimore-based publishing company just like on any other day. But unlike his fortieth birthday, Coates is very much looking forward to a lively celebration of the 40th anniversary of Black Classic Press and recently announced a weekend of events being held May 18-20, 2018, in honor of the occasion. "My excitement is justified," he says. "Many people live to see forty. On the other hand, many publishing companies, and especially the ones I have admired, do not." Book publishing is a tough business, especially for publishers who want to be a voice for the Black community not only in the U.S. but all over the world. Coates notes, "A few Black publishers, like Third World Press, Africa World Press, and Just Us Books, have managed to hang in there despite the challenges, for fifty, thirty-five, and thirty years respectively, and have survived against the odds to publish great Black books." Black Classic Press too has survived against the odds and grown stronger. The company was recently featured on CSPAN Book TV, where Coates talks about the company’s success and the difficulties they have overcome. Coates attributes the press' success to the diverse and amazing community of people who have supported its efforts during the last 40 years. "Our fortieth is going to be a celebration of all that we've overcome and the amazing people who have been there for us," he says. The Reginald F. Lewis Museum of Maryland African American History and Culture, located at 830 E. Pratt Street, Baltimore, MD 21202, is the host location for a welcome reception on Friday and a book fair and a gala on Saturday. During these events, attendees will be able to visit the museum as well. "We are glad the museum has opened its doors to host the 40th Anniversary Celebration of Black Classic Press, and we are going to support this important institution through a membership drive and proceeds from the event," Coates explains. The Black Class Press anniversary weekend of celebration will take place May 18-20. On Friday May 18, the weekend kicks off with a welcome reception celebrating the literary arts. Saturday, May 19, features a Black book fair and panel discussions during the day and a Gala of Gratitude in the evening. The weekend will conclude with an Open House on Sunday, May 20, where members of community will take tours of the BCP offices and witness live book making. "This celebration will bring together many of the wonderful people with whom we've worked and grown with over the last 40 years: authors, publishers, book lovers, current/former staff members, and family," Coates says. 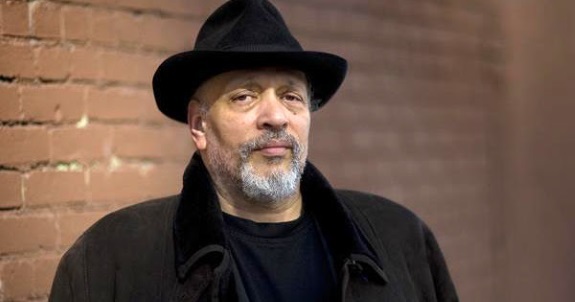 Special guests include Haki Madhubuti, and Walter Mosley. Tickets are available online at www.blackclassicbooks.com/40th-anniversary-celebration. Those who do not have access to the internet can call the press at 410-242-6954, and someone will assist them with their purchase. To place an ad in the 40th Anniversary Souvenir Program Book, and for more information visit www.blackclassicbooks.com. Ads must be received by May 10. Black Classic Press, founded in 1978 by W. Paul Coates, specializes in publishing works by and about people of African descent. The Press counts Walter Mosley, Amiri Baraka, and E. Ethelbert Miller among its most notable authors as well as Dorothy Porter, John Henrik Clarke, George L. Jackson, and Bobby Seale. Titles published by Black Classic Press are distributed to the trade by Publishers Group West and are available from leading bookstores and directly from the Press. Visit www.blackclassicbooks.com for more information.